SAN FRANCISCO, Calif., August 24, 2017 — Purism, the social purpose corporation which designs and produces popular privacy conscious hardware and software, has revealed its plans to build the world’s first encrypted, open platform smartphone that will empower users to protect their digital identity in an increasingly unsafe mobile world. After 18 months of R&D to test hardware specifications and engage with one of the largest phone fabricators, Purism is opening a self-hosted crowdfunding campaign to gauge demand for the initial fabrication order and add the features most important to users. The plans to build the Librem 5 smartphone come on the tails of Purism opening general availability and inventory for its increasingly popular Librem laptop line in June 2017, which includes the Librem 13 and Librem 15 laptop models and has seen 35 percent average monthly growth in the past year. 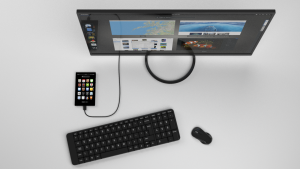 Partnering with open source communications project Matrix, Purism is making the Librem 5 the first ever Matrix-powered smartphone, natively using end-to-end encrypted decentralized communication in its dialer and messaging app. Matrix is an open ecosystem for interoperable encrypted communication, supporting a rapidly growing community of over 2 million users for VoIP and Slack-style messaging. As increasing concern among Android and iOS users grow around personal data they give up through WiFi connections, application installations and basic location services, Purism hopes to address those concerns by manufacturing phones that will operate with free/libre and open source software within the kernel, the operating system, and all software applications. Purism has built a strong reputation within the GNU/Linux community by delivering laptops designed to specifically meet user concern about digital privacy, chip-by-chip, line-by-line, to respect our common rights to privacy, security, and freedom. “I believe digital rights should mirror physical rights. 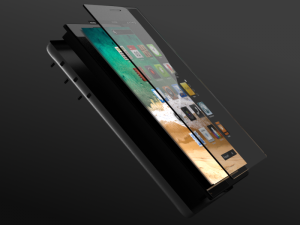 Our Librem 5 phone will get humanity closer to that goal by giving people choices about how they want to protect or share their digital identity,” said Todd Weaver, founder & CEO at Purism.